Our Science curriculum allows the children at HLC to embed new skills they are learning through a progressive curriculum. It continues to emphasise the importance of key vocabulary and terminology, whilst giving the children opportunities to work scientifically (Investigations/Experiments). At HLC we strive to develop the children’s resilience and intellectual curiosity across the curriculum. 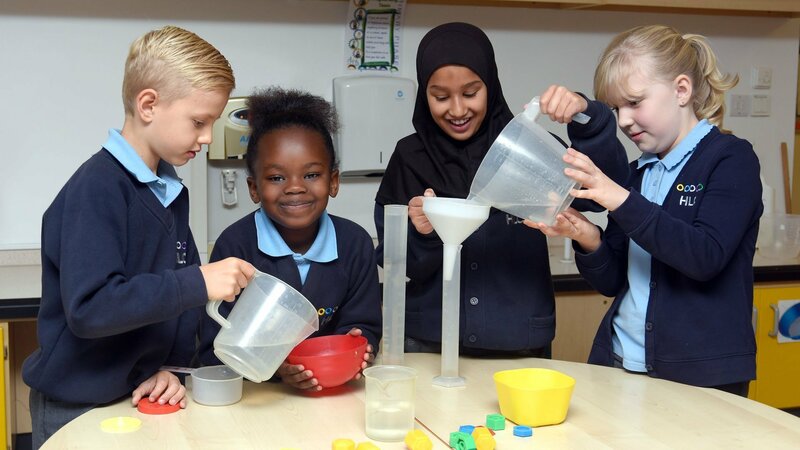 During our science lessons the children are often encouraged to take their own learning forward by carrying out investigations using their scientific knowledge and conceptual understanding. Allowing the children to select resources to support their learning choices is an essential part of ‘working scientifically’ within the classroom. Once an investigation/experiment is completed, the children are then asked about their methods and whether they managed to achieve the desired outcome. Through careful questioning, the children are able to evaluate their performance in detail. Continue to ask ‘how’ and ‘why’ questions to improve understanding of a given subject.